The Australian Kendo Coaching Team are happy to announce that after 2 years of preparation, 14 members of the National Squad (7 women & 7 men) have been selected to represent Australia at the World Kendo Championships to be held in Korea 2018. 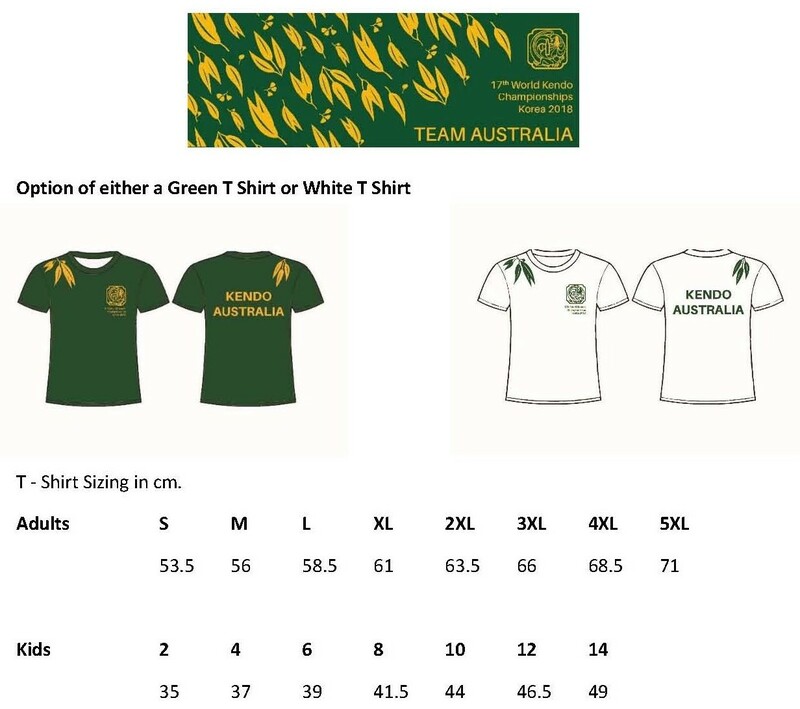 We are now working hard to raise funds for the team to travel to international events leading up to Korea and to encourage the kendo community Australia wide to support the team, we have put together an awesome T-Shirt & Tenugui package that is now available. Please contact your club’s secretary or a friendly Team Member to place your order & organise payment by October 31st 2017. Your support to the Australian Kendo Team will be greatly appreciated! Download a PDF of the T Shirt and Tenugui promotion. You and your friends can also support the Australian Kendo Team by making a tax deductable donation via the Australian Government supervised Australian Sports Foundation website here.